my fav is emmanuel w 17-5-9 with 11 turnovers. CJ mcollum scored 37 and started 5/5 from three. @SherwoodStrauss: Steph Curry now has 108 points in 92 minutes this season. On 62 shots. 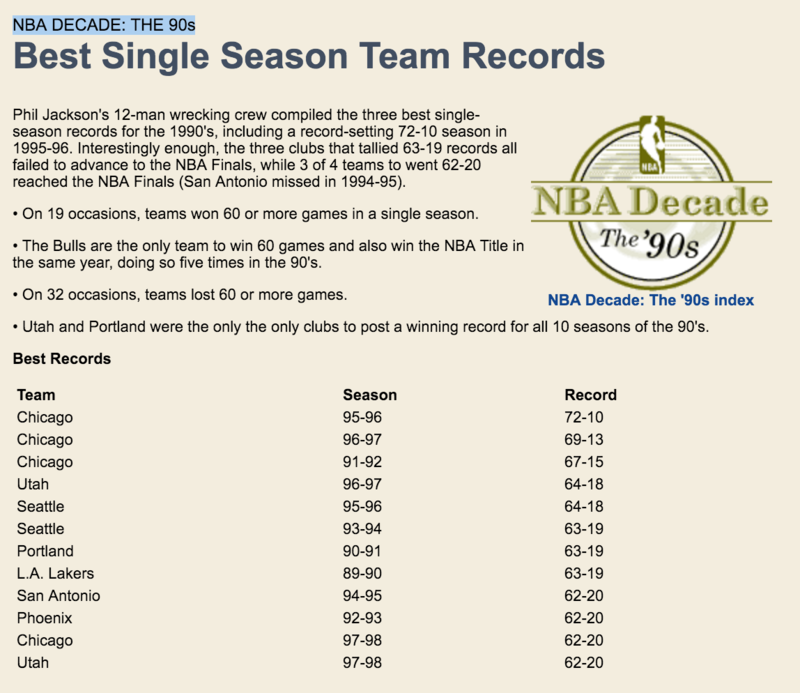 @ESPNStatsInfo: According to @EliasSports, Stephen Curry's 118 pts is the most through 1st 3 games of the season since Michael Jordan's 118 in 1989-90. Kevin Garnett made his NBA debut 20 years ago today ... before 13 current NBA players were born. More than I thought tbh. Old guy seeing the new guys do new things wants to do them too. yeah the tyson chandler model was def under appreciated a few years ago in ways its not now, but still teams have always loved athletic big men! yeah it was dumb. i mean drummond had major attitude questions right? 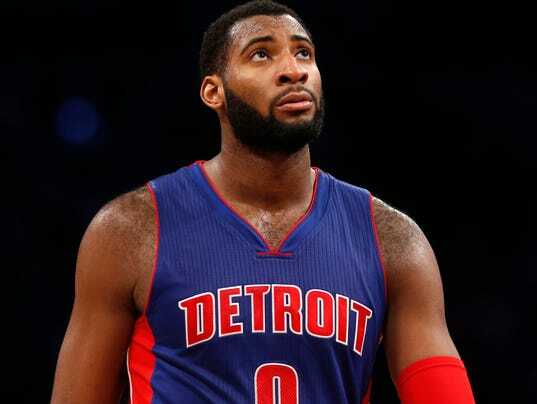 June 26 Update: Andre Drummond: The next Dwight Howard or the next Kwame Brown? Drummond has all of the tools to be the next Howard. At 18, he's already 7 feet tall, 280 pounds. He has a 7-foot-6 wingspan and elite athletic abilities. That's not a basketball player; that's a basketball god. 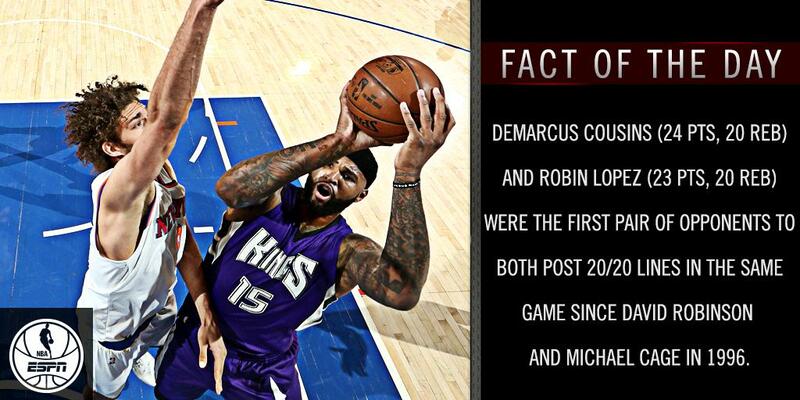 But he's also the second-youngest player in the draft, and at times it shows. He doesn't always play hard. He takes off plays and sometimes entire games. His skill level (highlighted by his awful 29.5 percent free throw shooting) is a major work in progress. He doesn't always work hard off the court to improve his game. And when you talk to him, he sounds more like a 16-year-old trapped in the body of a 28-year-old giant. Anyone who says he knows what Drummond will be is a psychic or a fraud. If he lands on the right team, gets the right coaching and is open to dedicating himself completely to the game, he could be the next Howard. If Drummond is left on his own, isn't forced to develop or just decides that he doesn't really like basketball, Brown isn't out of the question. More likely, he's somewhere in between those guys. DeAndre Jordan, anyone? The Grizzlies are the first team to lose multiple games by 49+ Pts in the same season since the 1992-93 76ers. 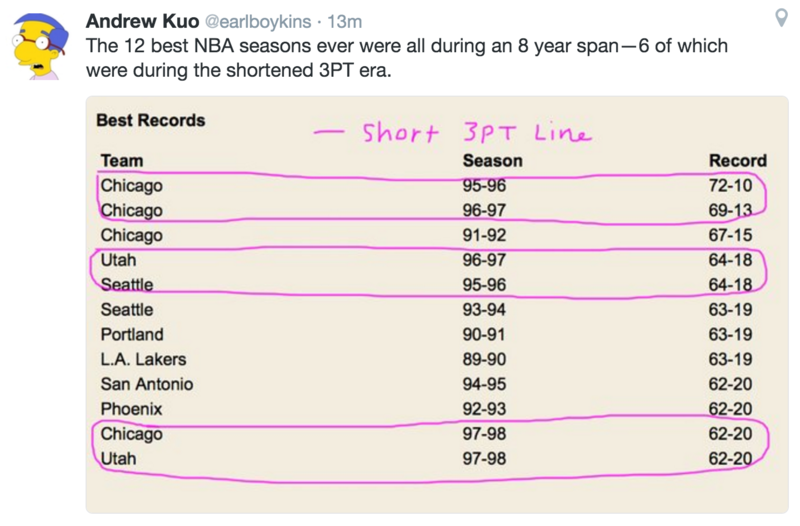 how do you know about the shortened 3 pt line but not know about the 72 lakers??? ha i just didnt think abt it! 26/12 with 5 blocks for whiteside in 29 minutes for whiteside tonight & i believe he dunked 7 times. looked about as unstoppable as any player outside of stpeh i've seen this year. Through the first three quarters of games, OKC is plus-232 for the season in the first, plus-107 in the second and plus-208 in the third, better scoring margins than any team other than Golden State and San Antonio. Yet in the fourth quarter, thanks to the Thunder's well-chronicled struggle to hold leads, they're stunningly minus-6, as helpfully tallied by the tireless Micah Adams from ESPN Stats & Info. As a blazer fan I've often watched lma in beast mode and he can be amazing. not steph-level amazing, but solid consensus nba all-star amazing. the spurs got a hell of a player when he signed with them. Parker and Danny Green were outscored 51-6 by the Warriors' backcourt Sunday night. meanwhile, Paul Millsap just became the first player to record at least 15 boards, 5 blocks and 5 triples in a game since the inception of the 3-point line in 1979-80 in Saturday night's big home win over Boston. Milsapp has been a monster on D recently (and for most of the season tbf). Don't think Draymond is as good a paint/rim protector but he's more comfortable on a switch. I used to get Millsap and Carl Landry mixed up in fantasy; are their games anything at all similar, having barely ever seen either of them play? lol i read your post with "a" in place of the "as"
Have to imagine he'd average a few more assists if he was kicking out to Steph and Klay instead of Kyle "hard regression to the mean" Korver and Touch me Teague me. Stephen Curry led all guards with 108 screens that led to baskets.